I'm a passionate Android enthusiast that's on the pulse of the latest Android news, writing about Android as often as possible. I'm also a little addicted to social networking. Hit me up, I'd love to chat. 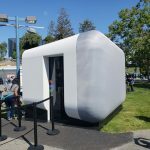 May 9th - New to Google I/O this year is an immersive Google Home Max experience, which is an absolutely massive Google Home Max replica that you can go inside. We’re live at Google I/O 2018! 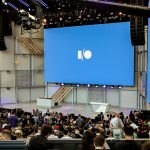 May 8th - We’re live at Google I/O 2018, bringing you the latest and largest news directly from Google. Sep 28th - The Huawei Watch focuses on elegance and beauty, a smartwatch that doesn’t look like a smartwatch, a smartwatch that looks and feels like a traditional timepiece. Should you buy one? Check out our review. 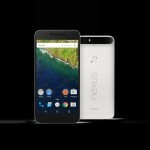 Sep 26th - A training presentation that’s intended for US retailers, reviewers, and presenters has leaked in full glory, revealing nearly everything about the Nexus 6P besides pricing and availability. Sep 22nd - Here’s what the retail packing of the Nexus 5X and Nexus 6P will look like when they make their way to your doorstep in the near future. Sep 17th - Apple’s first Android app on Google Play wasn’t developed by Apple. In fact, Apple’s new Move to iOS Android app is just a rebranded clone of an existing Android app called Copy My Data by Media Mushroom. Sep 12th - A new report from The Information puts Google working with the Chinese government to bring a stripped down version of the Google Play store back to the country. 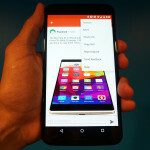 Sep 8th - Oddly enough until now, Google+ didn’t take advantage of Android’s sharing intent. Thankfully, that is no longer the case. 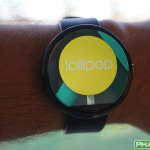 Sep 8th - When Android Wear was announced a year and a half ago, HTC was listed as an Android Wear partner. 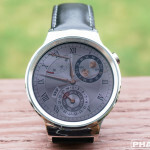 We haven’t seen an Android Wear powered wearable from the Taiwanese company thus far, but that doesn’t mean their continued downward spiral is going to stop them from pursuing their partnership. 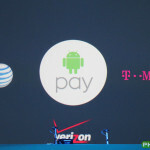 Sep 4th - Earlier this evening, another hint popped up inside the Google Wallet app lettings users officially know that Android Pay is coming soon along with major changes to the Google Wallet application. 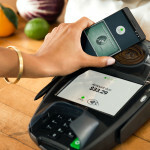 Sep 3rd - Thanks to new information we’ve received from a reliable source at Verizon Wireless, we now know that Google plans to have Android Pay rolled out to users and ready to go on for launch September 16th. 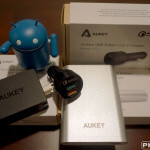 Aug 25th - Recently, we reviewed Aukey’s Quick Charge 2.0 compatible chargers. 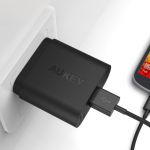 Thanks to the generous folks over at Aukey, we now have 15 Quick Charge 2.0 compatible chargers up for grabs in our free international giveaway. Aug 6th - In a world where battery life is a hot topic and something we’re all concerned about, having at least one additional Quick Charge 2.0 capable charger available is truly beneficial. Here’s what Aukey has to offer. Jul 12th - Google’s next platform update for Android Wear plans to bring tap gestures to the most prominent user interface on your smartwatch and launch a brand new watch to watch communication method. Thanks to the information provided to us, we’re able to get an early first look at these upcoming features. 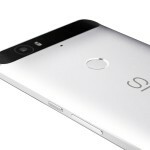 Jul 10th - Google is said to be working on their next Nexus smartphone with Huawei. 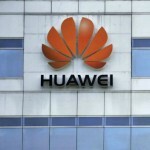 This is would be a great opportunity for Huawei as the Chinese company has seen great success globally, having the 4th largest vendor market share, however they’ve had minimal success here in the US.